The Triple-eccentric design:shaft from the centerline of sealing surface to form the 1st eccentric;the shaft offsets from centerline of pipeline to form the 2nd eccentric;and the scalene cone form the 3rd eccentric.This design can make iffectively use of the cam effect,and completely eliminate the friction between the seat and sealing surface in the 90°travel,preventing the valve fromleakage caused by the abrasion of the sealing face,and extend its service lifetime. 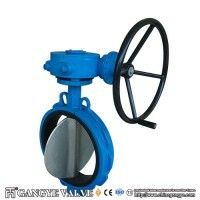 In petrochemical,Lng,coal chemical,nuclear power,thermal power and other fields need valves,three-eccentric metal-seated butterfly valves play an important and indispensable role.It occupies the high-end market of valves due to its inherent characteristic of wide range of sizes,pressure,medium and temperature,low torque and cost,compact design,easy installation and operation,bi-directional tight shut off and long life cycle. 1.Bi-directional zero-leakage sealing.According with standard API 598 and ANSI/FCI 70-2 Class VI. 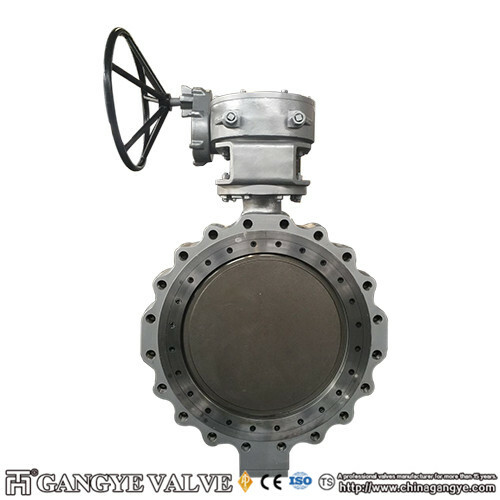 2.Optimized disc/shaft and inside cavity diameter makes it able to achieve a high flow coefficient(Cv.Kv)and reduce the pressure loss. 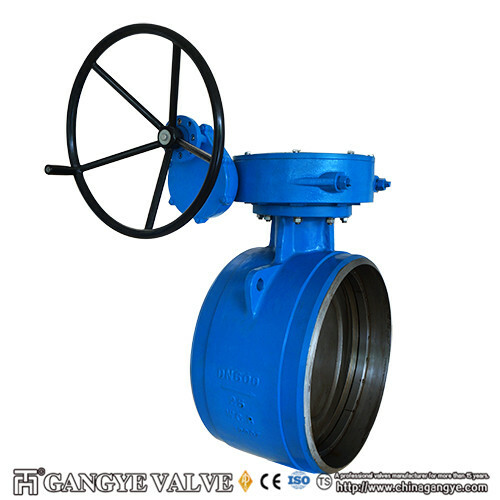 3.The separate sealing ring design make it possible to adjust the sealing between sealing ring itself,ensuring the sealing performance is reliable.And the face to face contact between valve disc ring and valve body can ensure no friction and locking,so the valve torque is small. 4.The valve can achieve the security seal by the contact force from metal on metal instead of relying on the medium pressure and/or mechanical positioning. 5.The stable torque can ensure the reliability of Bi-directional sealing. 6.When open the valve,the pressure angle is greater than the frictional angle,the disc separates from the valve body sealing ring completely and immediately which can eliminate the friction between the valve body sealing ring and disc sealing ring mand extend its service life. 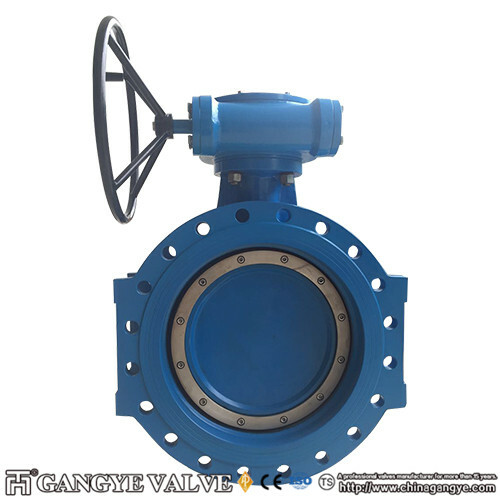 7.Using internal protection ring of the bearing to prevent intrusion of impurities,enhancing the reliability of the valve. 8.The valve is suitable for various conditions with the detachable and replaceableseat.The valve body sealing ring and the disc sealing ring system can be replaced on site which can lower the maintenance costs. 9.The packing gland is composed of 2 parts to avoid the stem locking caused by offset.and allow the stem-packing regulate on site. 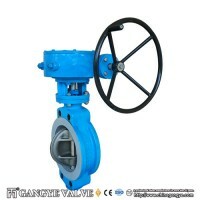 10.All parts of valve are interchangeable and replaceable. 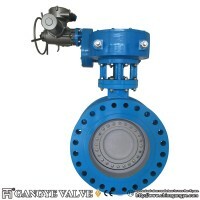 11.The valve has the “fire protection itself”property. For the triple-eccentric metal-seated butterfly valves,customers can select different kinds of disc sealing rings for different working conditions.There are two main types of sealing rings:the multi-layered composite type and the full-metal type(a variety of materials are available to be chosen for both types). The external and inner shape of sealing ring is like the cone angle cutting which forms the sealing surface.Perfect contact between the sealingring and the sealing surface of seat can achieve the tight seal when close the valve. The disc separates from the body sealing ring completely and immediately,and all release angles are positive angle,that can avoid the friction between sealing surface and body sealing ring. No friction resistance from seal separation when open the valve. It has a regulatory function at the moment of opening. Pressure class:Class150,Class300, Class600, Class900, Class1500;PN25,PN40,PN63,PN100,PN150,PN260. 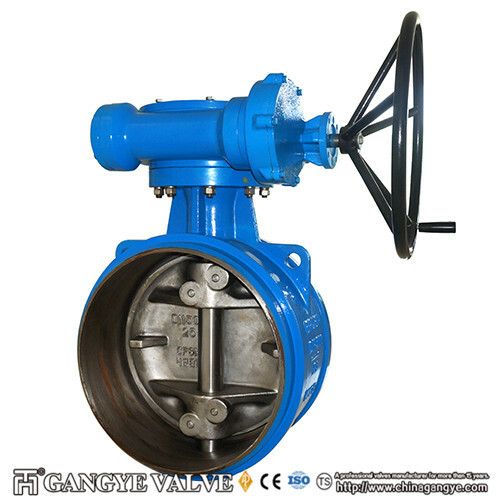 Applicable medium:applicable for the pressures ranging from vacuum to high pressure,Cryogenic to ultra-high temperature and other kinds of applications.